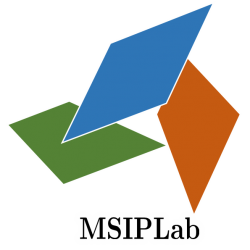 Proceedings – MSIP Lab, Niigata Univ. Akira Oshima, Hiroyoshi Yamada, Yoshio Yamaguchi and Shogo Muramatsu, Fundamental Study on Ambiguity Suppression of Automotive Squint-mode MW-SAR by Using SIMO Radar, Proc. of 2018 IEEE International Workshop on Electromagnetics: Applications and Student Innovation Competition(iWEM), Nagoya, Aug. 2018. Satoshi Nagayama, Shogo Muramatsu, Hiroyoshi Yamada and Yuuichi Sugiyama: Complex Nonseparable Oversampled Lapped Transform for Sparse Representation of Millimeter Wave Radar Image, Proc. of IEEE International Conference on Image Processing(ICIP), pp.2716-2720, Sept. 2017. Kousuke Furuya, Shintaro Hara and Shogo Muramatsu, Boundary Operation of 2-D non-separable Oversampled Lapped Transforms, Proc. of Asia Pacific Signal and Information Proc. Assoc. Annual Summit and Conf. (APSIPA ASC), Kaohsiung, Taiwan, Nov. 2013. Kosuke Furuya, Shintaro Hara and Shogo Muramatsu: Embedded Implementation of 2-D Nonseparable Linear-Phase Paraunitary Filter Banks for Video Processing, Proc. of Intl. Workshop on Advanced Image Technology (IWAIT), P1-26, pp.605-609, Jan. 2013. Natsuki Aizawa and Shogo Muramatsu: FISTA-Based Image Restoration with Multiple DirLOTs,, Proc. of Intl. Workshop on Advanced Image Technology (IWAIT),P2-7, pp.642-647,Jan. 2013. Norihisa Terasawa, Shinya Kitazawa, Hidenori Watanabe, Shogo Muramatsu, Takamasa Suzuki, Mitsuyoshi Murata and Toshiro Oitate: Lens Distortion Estimation and Compensation for Sheet-Metal Inspection System, Proc. of Intl. Workshop on Advanced Image Technology (IWAIT), P2-8, pp.648-653, Jan. 2013. Shogo Muramatsu, Natsuki Aizawa and Masahiro Yukawa, Image Restoration with Union of Directional Orthonormal DWTs, Proc. of Asia Pacific Signal and Information Proc. Assoc. Annual Summit and Conf. (APSIPA ASC), Hollywood, CA, U.S.A., Dec. 2012. Shogo Muramatsu, SURE-LET Image Denoising with Multiple Directional LOTs, Proc. of Picture Coding Symposium (PCS), May 2012. Shogo Muramatsu and Dandan Han, Image Denoising with Union of Directional Orthonormal DWTs, IEEE Proc. of International Conference on Acoustics, Speech and Signal Processing (ICASSP), pp.1089-1092, Mar. 2012. 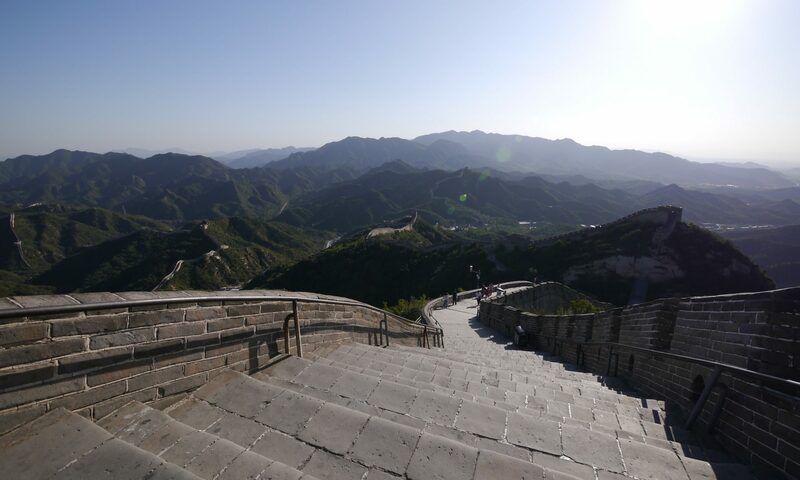 J. Hwang, H. Kikuchi, S. Muramatsu and J. Shin, A Structure-Enhanced Tone Mapping Algorithm for High Dynamic Range Scenes, Int. Conf. on Electronics, Inf. and Commun., Jeongeson, Korea, Feb. 2012. Hidenori Watanabe, Yuji Kikuchi, Shogo Muramatsu, Toshiro Oitate, Mitsuyoshi Murata and Takamasa Suzuki, Statistical Edge Detector with GMM Classifier, 26th International Technical Conference on Circuits/Systems, Computers and Communications (ITC-CSCC2011), TC2-5, pp. 611-614, Gyeongju, Korea, June 19-22, 2011. Junghyeun Hwang, Hisakazu Kikuchi, Shogo Muramatsu, and Jaeho Shin, Edge-aware tone mapping algorithm for high dynamic range imagery, 26th International Technical Conference on Circuits/Systems, Computers and Communications (ITC-CSCC2011), pp. 804-807, Gyeongju, Korea, June 19-22, 2011. Muyesaier Mulaaihemaiti, Shun Munekata, Junghyeun Hwang, Hisakazu Kikuchi, Shogo Muramatsu, Masahiro Yukawa, Heikki Huttunen, and Jaeho Shin, A reproduction model of film grain texture for digital movies, 26th International Technical Conference on Circuits/Systems, Computers and Communications (ITC-CSCC2011), pp. 819-822, Gyeongju, Korea, June 19-22, 2011. Peter Ndajah, Hisakazu Kikuchi, Shogo Muramatsu, Masahiro Yukawa and Francis Benyah, A Total Variation-Morphological Image Edge Detection Approach, 10th WSEAS Int. Conf. on Signal Processing, 6 pages, Canary Islands, Spain, May 27-29, 2011. Hisakazu Kikuchi, Junghyeun Hwang, Shogo Muramatsu, and Jaeho Shin, Reversible Component Transforms by the LU Factorization, 28th Picture Coding Symp. (PCS 2010), pp. 238-241, Nagoya, Japan, Dec. 7-9, 2010. Peter Ndajah, Hisakazu Kikuchi, Masahiro Yukawa, Hidenori Watanabe, Shogo Muramatsu. SSIM Image Quality Metric for Denoised Images, Proc. 3rd WSEAS Int. Conf. on Visualization, Imaging and Simulation (VIS’10), pp. 53-58, University of Algarve, Faro, Portugal, Nov. 3-5, 2010. Peter Ndajah, Hisakazu Kikuchi, and Shogo Muramatsu, Total Variation Image Denoising, 13th Int. Conf. on Approximation Theory, San Antonio, TX, USA, Mar. 7-10, 2010. Junghyeun Hwang, Hisakazu Kikuchi, and Shogo Muramatsu, A Tone-Aware Halftoning Using Optimized Error Diffusion Filters Based on The Blue Noise Masks,RISP Int. Workshop on Nonlinear Circuits, Communications and Signal Processing (NCSP ’10), Waikiki Beach Marriott Resort & Spa, Honolulu, Hawaii, 4 pages, March 3-5, 2010. Tomoya Kobayashi, Shogo Muramatsu, Hisakazu Kikuchi: Two-Degree Vanishing Moments on 2-D Non-separable GenLOT, Proc. of Int. Symp. on Intelligent Signal Proc. and Communication Systems (ISPACS 2009), pp.248-251, Kanazawa Excel Hotel Tokyu, Kanazawa, Japan, Dec. 7-9, 2009. Junghyeun Hwang, Hisakazu Kikuchi, Shogo Muramatsu and Jaeho Shin: Visual Fidelity of Bilevel Halftones Generated by the Error Diffusion Filter Optimized for the Blue Noise Masks in All Tone Levels , Proc. of Int. Symp. on Intelligent Signal Proc. and Communication Systems (ISPACS 2009), pp. 371-374, Kanazawa Excel Hotel Tokyu, Kanazawa, Japan, Dec. 7-9, 2009. Shogo Muramatsu and Minoru Hiki: Block-Wise Implementation of Directional GenLOT, IEEE Proc. of Int. Conf. on Image Proc. (ICIP2009), pp.3977-3980, Cairo, Egypt, Nov. 7-11 2009. Kentaro Sugiyama, Tatsuya Miyaguchi, Hisakazu Kikuchi, Shogo Muramatsu and Jun-ichi Kobayashi: Effective Features and a Classification System for Defective Soldering Detection, Proc. of Int. Workshop on Smart Info-Media Systems in Asia (SISA 2009), No.RS3-7, pp.191-196,Kansai University, Osaka, Oct. 22-23, 2009. Hisakazu Kikuchi, Minoru Hiki and Shogo Muramatsu: Bit-Plane Coding with a New Context Modeling for Applications to High-Quality Images, Proc. of Int. Workshop on Smart Info-Media Systems in Asia (SISA 2009), No.RS3-1, pp.160-165, Kansai University, Osaka, Oct. 22-23, 2009. Kyosuke Satoh, Mustafa M. Sami, Hisakazu Kikuchi, Shogo Muramatsu and Takashi Saku: Histopathological Image Analysis for the Aid in Diagnosis of Oral Borderline Malignancies, Proc. of Int. Workshop on Smart Info-Media Systems in Asia (SISA 2009), No.RS2-8, pp.106-110, Kansai University, Osaka, Oct. 22-23, 2009. Hidenori Watanabe, Shogo Muramatsu and Hisakazu Kikuchi: Multiplierless Refinement Scheme for Interval Calculation of GMM-Based Classification, ”’Proc. of Asia- Pacific Signal and Information Processing Association(APSIPA) Annual Summit and Conference 2009, MP-P3-2”’, pp. 282-285, Hokkaido, Japan, Oct. 2009. Junghyeun Hwang, Hisakazu Kikuchi, Shogo Muramatsu and Jaeho Shin: Digital Halftoning Using an Error Diffusion Filter Optimized for the Blue Noise in Every Uniform Tone, 24th ITC-CSCC2009, pp. 227-230, Jeju, Korea, July 5-8, 2009. Hisakazu Kikuchi and Shogo Muramatsu: Simple Bit-plane Coding Conditioned by Expectation Values of Pixels for Lossy-to-Lossless Image Compression, 24th ITC-CSCC2009, pp. 393-396, Jeju, Korea, July 5-8, 2009. Hisakazu Kikuchi, Kunio Funahashi and Shogo Muramatsu: Simple Bit-plane Coding for Lossless Image Compression and Extended Functionalities, 27th Picture Coding Symp. (PCS 2009), No. 111, 4 pages, Chicago, May 6-8, 2009. Shinsuke Kobayashi, Shogo Muramatsu, Hisakazu Kikuchi and Masahiro Iwahashi: Water Level Tracking with CONDENSATION Algorithm,Proc. of IWAIT 2007, pp. 750-755, Bangkok, Thailand, Jan. 2007. Hisakazu Kikuchi, Kazuma Shinoda and Shogo Muramatsu: Scalable Lossless Color Image Compression by a Lossless-By-Lossy Approach, Proc. of IWAIT 2007, pp. 789-794, Bangkok, Thailand, Jan. 2007. Kazuma Shinoda, Hisakazu Kikuchi and Shogo Muramatsu: A lossless-by-lossy approach to lossless image compression, IEEE ICIP 2006, pp. 2265-2268, Atlanta, USA, Oct. 2006. Minoru Hiki, Takuma Ishida, Shogo Muramatsu and Hisakazu Kikuchi: Suppression of PSNR fluctuation in motion-compensated temporal 1/3-transform through non-separable sub-sampling, IEEE ICIP 2006, pp. 2153-2156, Atlanta, USA, Oct. 2006. Kazuma Shinoda, Hisakazu Kikuchi and Shogo Muramatsu, Two-Stage Lossless Image Compression by Wavelet-Based Lossy Coding, ITC-CSCC 2006, Vol. II, pp. 325-328, Chiangmai, Thailand, Jul. 2006. Yoshihisa Takahashi, Hisakazu Kikuchi, Shogo Muramatsu and Naoki Mizutani: Iterative Asymmetric Average Interpolation for Color Demosaicing of Single-Sensor Digital Camera Data, SPIE Electronic Imaging 2006, San Jose, USA, Jan. 16, 2006. Takuma Ishida, Shogo Muramatsu, Daisuke Kitagawa, Jun Uchita, Minoru Hiki and Hisakazu Kikuchi: Performance Evaluation of Spatio-Temporal Multi-Resolution Analysis with Deinterlacer Banks, Proc. SPIE, Vol. 5960, pp. 437-445, 2005. presented at Visual Communications and Image Processing (VCIP 2005), pp. 177-188, Beijing, July 12-15, 2005. Satoshi Hasebe, Mustafa M. Sami, Shogo Muramatsu and Hisakazu Kikuchi: Constructing Storyboards Based on Hierarchical Clustering Analysis, Proc. SPIE, Vol. 5960, pp. 437-445, 2005. presented at Visual Communications and Image Processing (VCIP 2005), pp. 437-445, Beijing, July 12-15, 2005. Minoru Hiki, Shogo Muramatsu, Takuma Ishida and Hisakazu Kikuchi,: Mathematical Properties of Deinterlacer Banks, Proc. of ITC-CSCC 2005, Cheju, July 4-7, 2005. Takuma Ishida, Shogo Muramatsu and Hisakazu Kikuchi: Lossless Implementation of Motion JPEG2000 Integrated with Invertible Deinterlacing, IEEE Proc. of ISCAS, pp.6328-6331, May 2005. Takuma Ishida, Shogo Muramatsu, Jun Uchita, Daisuke Kitagawa and Hisakazu Kikuchi: Spatio-Temporal Multi-Resolution Analysis through Hierarchical Deinterlacer Banks, Proc. of International Workshop on Advanced Image Technology (IWAIT2005), Cheju, Korea, Jan. 2005. Kenta Ishizawa, Jie Zhou, Shigenobu Sasaki, Shogo Muramatsu, Hisakazu Kikuchi and Yoshikuni Onozato, Spatial Correlation of a Circular Array Antenna and BER Performance Investigation, APCCAS 2004, Tainan, Taiwan, Dec. 2004. Shogo Muramatsu, Takuma Ishida and Hisakazu Kikuchi: Perfect Reconstruction Deinterlacer Banks for Field Scalable Video Compression, IEEE Proc. of ICIP2004, Vol.4, pp.2279-2282, Singapore, Oct. 2004. M. A. Rahman, Shigenobu Sasaki, Jie Zhou, Shogo Muramatsu and Hisakazu Kikuchi: Impact of Chip Duty-factor in DS-UWB Communications: Some Implications of Regulatory Emission Constraints, Proc. of WPMC 2004, Abano Terme, Italy, WA1-6, pp. V3-233-237, Sep. 2004. Satoshi Hasebe, Makoto Nagumo, Shogo Muramatsu and Hisakazu Kikuchi: Video Key Frame Selection by Clustering Wavelet Coefficients, Proc. of EUSIPCO 2004, No. 1679, pp. 2303-2306, Vienna, Austria, Sep. 2004. Takuma Ishida, Jun Uchita, Shogo Muramatsu, Hisakazu Kikuchi and Tetsuro Kuge: Parameter Transmission via ROI in JPEG2000 for Variable-Coefficient Invertible Deinterlacing, Proc. of EUSIPCO 2004, No. 1251, pp. 653-656, Vienna, Austria, Sep. 2004. Jun Uchita, Shogo Muramatsu, Takuma Ishida, Hisakazu Kikuchi and Tetsuro Kuge: Parameter Embedding Method of Variable-Coefficient Invertible Deinterlacing into Motion-JPEG2000 through ROI, IEEE Mid-West Symp. on Circuits and Systems 2004, pp. II-425 – II-428, Hiroshima, Japan, July 2004. Satoshi Hasebe, Makoto Nagumo, Shogo Muramatsu and Hisakazu Kikuchi: Wavelet-Based Keyframe Selection Techniques for Video Abstraction, Proc. of ITC-CSCC, Sendai, Matsushima, July 2004. Daisuke Kitagawa, Takuma Ishida, Shogo Muramatsu and Hisakazu Kikuchi: Maximally-Decimated Perfect Reconstruction Deinterlacer Banks Based on FCO-Sampling, Proc. of ITC-CSCC, No. 7B1L-3, Sendai, Matsushima, July 2004. Jie Zhou, Kenta Ishizawa, Shigenobu Sasaki, Shogo Muramatsu, Hisakazu Kikuchi and Yoshikuni Onozato: Approximate Analyses and Comparisons of Generalized Spatial Correlation for Linear and Circular Antenna Arrays, Proc. of ITC-CSCC, Sendai, Matsushima, July 2004. M. A. Rahman, Shigenobu Sasaki, Jie Zhou, Shogo Muramatsu and Hisakazu Kikuchi: Performance evaluation of Rake reception of ultra wideband signals over multipath channels from energy capture perspective, Proc. of Joint IEEE UWBST Conf. & IWUWBS 2004, pp. 231-235, Kyoto, Japan, May 2004. M. A. Rahman, Shigenobu Sasaki, Jie Zhou, Shogo Muramatsu and Hisakazu Kikuchi: Evaluation of selective Rake receiver in direct sequence ultra wideband communications in the presence of interference, Proc. of Joint IEEE UWBST Conf. & IWUWBS 2004, pp. 221-225, Kyoto, Japan, May 2004.